The Troop was a book that I had been waiting to read for quite some time now. Based on the reviews pouring in I was sure this would be a Horror Grand Slam for me. However within a scant few pages I knew this simply wasn't going to be the case. Underwhelming at its best The Troop was a mishmash of concepts previously written and blended together to form a story that brought very little if anything new to the Horror table. One of The Troops biggest problems I found was its shifting perspectives. The story is broken into two parts. You have what is happening on the Island and also a running commentary throughout from what I presume is a military tribunal. While I understand the importance of finding out how these parasitic worms came to be the way it was done was boring and killed any sort of tension built up during the scenes on the Island. A simple chapter at the beginning, a mention in the middle and a final wrap up at the end would of sufficed. Secondly, I felt the characters were unoriginal and cliched. Where was the goth kid forced into scouts by an overbearing Father or the gay kid who has to hide his secret or else risk being shunned?? Nope instead we get the geek, nerd, jock, bully and weirdo archetypes that do little except move the story along in a predictable way. Every stereotype that could be used was thrown at these kids and because of that I really couldn't care about what happened to them. Oh and don't even get me started on the scout leader. He was as useless as a steaming pile and his decisions were directly responsible for the events that happened while on the island. This wouldn't have annoyed me so much if he wasn't a. A fricken scout leader and B. A Doctor. I mean c'mon he should've known better but alas that was simply to much to ask for I guess. Lastly, I found myself bored. This book claims to have scared Stephen King but I just don't see how. The worms weren't scary and even laughable in parts and neither were the boys going all Lord of the Flies on each other. Part of the problem can be linked to the pacing but the other half is simply that the story wasn't that good to begin with. Now usually I don't give warning concerning gore and the like but I feel that I have to mention the level of animal abuse in this book. I read a lot of Horror so I can understand why someone includes animal torture in a book and if it serves a purpose I can and will stomach it in small doses. However, I found that the sheer amount of animal torture in The Troop went beyond serving a purpose and instead was more for shock value than anything else. If you like atmospheric Horror filled with pop culture references then you will probably enjoy The Troop. 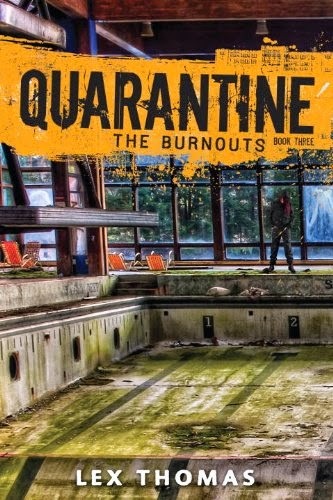 If you're looking for something to really scare the daylights out of you and filled with out of the box characters then move on because this book is not for you. While I did enjoy the concept of parasitic worms running amok and the ending did at least pull the story together nicely I can't say that it was enough to keep me invested in the story as a whole. 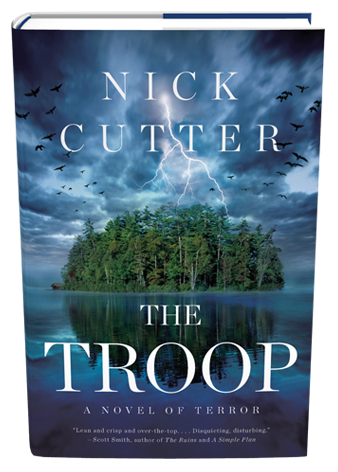 With that being said, I'll be rating The Troop by Nick Cutter ★★★. *Copy reviewed provided by Edelweiss. All opinions are my own and I was not compensated in an which way for providing them. Want to learn more about this book or the Author? Click the links below!